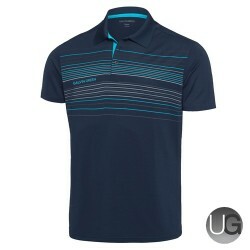 Mens Galvin Green Diego Insula Golf Pullover. 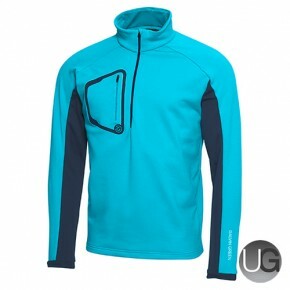 This pullover is a versatile half zip mid or outer layer garment fabricated from warming INSULA. A comfy soft and stretchy garment with excellent thermal insulation properties, offering maximum breathability enabling the release of excess heat and moisture. 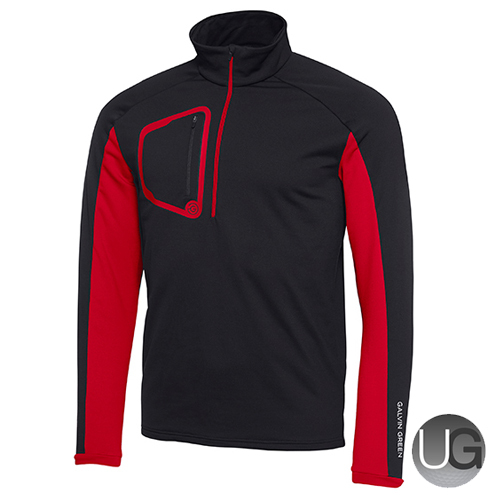 A half zip design with contrast outline of the right chest and under the arms. 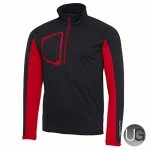 Ideal intermediate layer for under a Galvin Green Gore-Tex or Windstopper jacket. Finished with Galvin Green branding to the right chest and back neck. 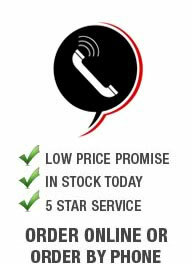 Easy care; regular machine wash and hang to dry.